The SEMA show in Las Vegas is every automaker's opportunity to get a little silly with the do-dads and decals. 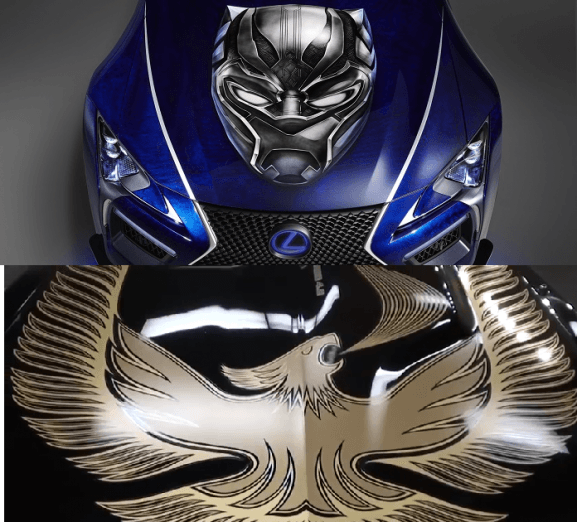 For the Lexus shopper interested in dropping six figures on a coupe with a huge hood decal, Lexus has created a Black Panther version. To us, the monstrosity looks like a 1980 Trans Am without the cool. If we read the press release right, Lexus is threatening to build 100 of these as part of its Inspiration series, we assume without the hood ornament. Lexus says that this LC is "Fit for a Super Hero who is also a king, this vehicle is part Lexus Takumi craftsmanship, part Wakandan vibranium engineering and all badass."